Is it a clothing store? A gallery? A café? What is Wer-Haus? All of these questions are irrelevant in Wer-Haus. It’s all of them and more, stuffed into an actual warehouse (hence the name!). The decor is industrial, yet clean, comfortable and airy. With brightness as an accessory, and green plants accenting the plain walls. An artisanal pastry is the perfect pre-shopping activity, and your artisanal coffee will make your gallery experience just a bit better. It’s not just cuisine; this place merges fashion, books, art and gastronomy into a neat package that somehow seems to make sense. For food lovers, the menu is centred around fresh, local and organic products. Their motto is “Fast Healthy Food”. Coffee drinkers listen up! 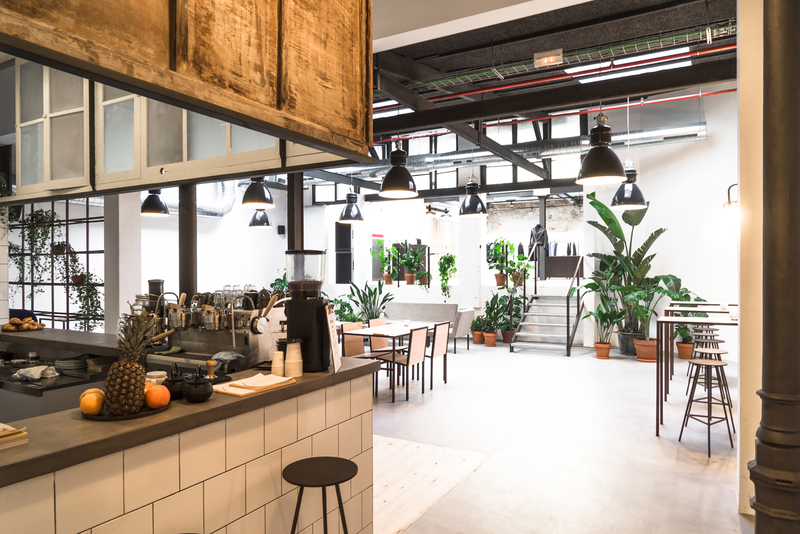 Wer-Haus is one of the leading specialty coffee shops in Spain. Here, they serve the best coffee beans from all around the globe. Bookworms and Art junkies have a place here too! With a variety of book selections and changing galleries, the atmosphere is never dull here. Finally, a lookbook and apparel store are other areas of expertise offered at Wer-Haus. Art, Culture, Taste, and People are encouraged and respected here. What does Wer-Haus not have? Becuase we can even book events there too.